At today’s sitting, the Riigikogu passed the Resolution which allows to send up to 50 active servicemen of the Defence Forces to France’s Military Operation Barkhane in Mali until the end of this year, to fulfil the international commitments of Estonia. The operation Barkhane is France’s largest military operation carried out in the Sahel region, Africa, with the aim of stabilising the situation in the region to the extent that will allow the authorities of the local countries to ensure the security situation independently. Estonia’s participation will contribute to curbing terrorism and illegal trafficking, in order that aggravation of the problems would not bring about negative consequences in European countries. The activities of the Estonian units in the Barkhane operation are planned to be confined to only Mali, which is also the main focus area of the whole operation. At the same time, Estonia’s contribution to the operation is a sign of close defence cooperation with France who among other things took over the policing of NATO airspace in Estonia from Italy at Ämari Air Base last Thursday. 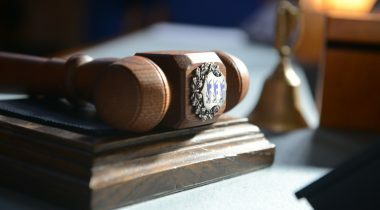 69 members of the Riigikogu voted in favour of the Resolution of the Riigikogu “Use of the Defence Forces in the Fulfilment of the International Commitments of the Estonian State in France’s Military Operation Barkhane in Mali” (608 OE), submitted by the Government, and two were against. The Act on Amendments to the Code of Misdemeanour Procedure and Amendments to Other Associated Acts (580 SE), initiated by the Government, establishes alternative proceedings for lesser misdemeanours. The Act enters into force on 1 January 2019. 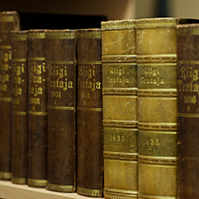 86 members of the Riigikogu voted in favour of the Act. The Act on Amendments to the Bar Association Act, the Courts Act, the Bailiffs Act and Other Acts (583 SE), initiated by the Government, provides for a reduction in the scope of the functions of the Ministry of Justice in connection with liberal legal professions such as notaries, lawyers, bailiffs, trustees in bankruptcy and patent attorneys. The functions related to the organisation of professional activities, such as the organisation of examinations, suspension and resumption of professional activities, substitution, evaluation, recognition of foreign professional qualifications, and functions related to data will be transferred to professional associations governed by public law. The Act provides for the establishment of the Chamber of Patent Attorneys as a legal person governed by public law. 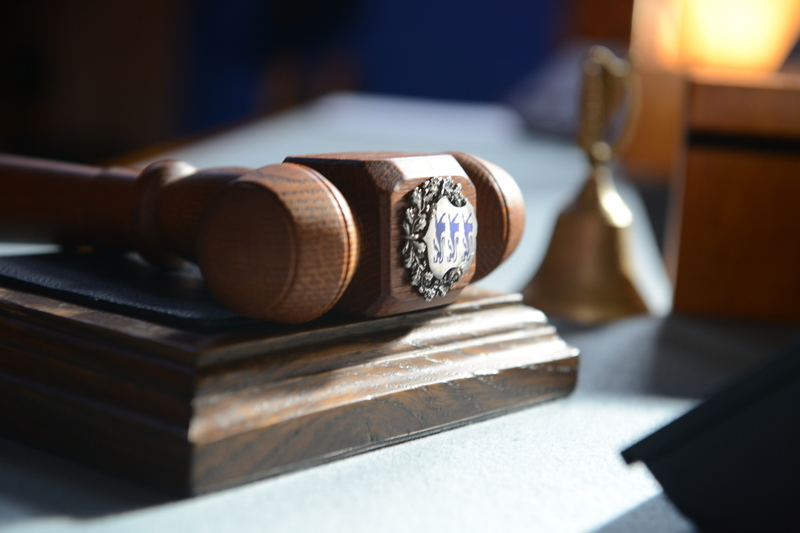 The Act amends the rates of the bailiff’s basic fee contained in the Bailiffs Act. On the basis of a judgment of the Supreme Court, it was necessary to change the rates of the bailiff’s basic fee and to bring them into conformity with the Constitution. The Act increases legal clarity, and the wording of § 132 of the Code of Enforcement Procedure is specified, which enables a bailiff to seize in one month up to 20 per cent of an income of an amount of the minimum salary of the debtor (and less than that) if the other assets of the debtor are not sufficient to satisfy the claims of the creditor. 52 members of the Riigikogu voted in favour of the Act and 7 were against. The Metrology Act (566 SE), initiated by the Government, provides for the requirements for measuring instruments, and the use and conformity assessment thereof, in order to ensure reliability and traceability of measurement results. Using a measuring instrument that complies with the requirements is an important basis for achieving reliable measurement results. Measuring instruments do not pose a potential threat to human life, health or the environment, as compared to lifting equipment or the handling of explosives. Therefore the need to protect measuring and the reliability of the result thereof has mainly been taken as a basis in the establishment of the requirements provided for in the Metrology Act. The Act comprehensively updates the current Metrology Act to eliminate the shortcomings and interpretation problems occurring in practice, as well as unreasonable restrictions. The new Act is simpler, more practical and less ambiguous. At the same time, the Act relates better to other associated legislation, such as for example the Law Enforcement Act and the Product Conformity Act. 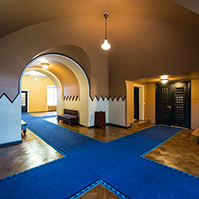 78 members of the Riigikogu voted in favour of the Act. The aim of the Cyber Security Act (597 SE), initiated by the Government, is to strengthen the protection of the network and information systems used in the provision of the services critical for society, as well as for the functioning of the work of state and local authorities. The Act transposes the European network and information security directive. The requirements for implementation of security measures and notification of cyber incidents for operators of essential services and digital service providers are established nationally. The tasks of the national supervisory authority, the Information System Authority, in coordinating the ensuring of cyber security and in organising cross-border cooperation are also specified. In the future, the service providers significantly affecting the functioning of the society (for example, vital services, important infrastructure businesses, the Estonian Internet Foundation) as well as larger digital service providers, that is, online marketplaces, online search engines and cloud computing services, will have to implement organisational, physical and information technology security measures based on a risk analysis. They will also have to monitor activities that pose a threat to security, and to implement measures to reduce the impact and spread of incidents, as necessary. In addition, they will have an obligation to notify the Information System Authority of cyber incidents with a significant impact. In the public sector the obligation to implement information security measures also extends for example to mail servers, file servers and document management systems. Up to now the obligation to implement security measures arising from legislation has applied only to information systems that are databases within the meaning of the Public Information Act. The Act does not provide for significant new obligations for the public sector. Ensuring the security of information systems has been part of the development and management of IT-system for a long time already. The Cyber Security Act amends the Health Services Organisation Act as a result of which, in 2022, the security requirements of the information systems used by family physicians will be harmonised in order to avoid for example personal data leakages or data encryption in the course of ransomware attacks. The Act also amends the Estonian Public Broadcasting Act as a result of which, starting from 2022, the Estonian Public Broadcasting will be required to ensure the security of the systems used to transmit information in situations endangering the population or the nation. 79 members of the Riigikogu voted in favour of the Act. The Land Improvement Act (524 SE), initiated by the Government, comprehensively updates the regulation of land improvement. A new consolidated text has been drafted. Land improvement consists of two aspects generally: the building of new land improvement systems and the maintenance of the existing land improvement systems. As a result of the implementation of the planned regulation, the ability of the land improvement systems to function will improve first of all. Without functioning land improvement systems, 50 per cent of Estonian land zoned for agricultural and forestry use would be waterlogged and the use thereof would be complicated. Significant amendments introduced by the Bill concern the qualifications and responsibility of the authorised specialist of an undertaking that operates in the field of land improvement. An obligation of in-service training every five years will be established for them. In the current Act, the role of the authorised specialist is more to advise the undertaking, but it should be more substantive. In view of that, it will be provided that the specialist does and inspects, or directs and assumes responsibility for what is done. At the same time, he or she must not be the authorised specialist of several undertakings if his or her workload does not enable him or her to perform employment duties according to requirements. That should lead to an improvement in the quality of building design documentation. The Bill will amend the regulation of the management of land improvement systems as well as the land improvement association, according to which land improvement associations will no longer be non-profit associations but legal persons governed by private law. In the course of the proceedings on the Bill, the principles for founding a land improvement association were amended. Up to now, an association could be founded in accordance with the decision of the owners of a land improvement system who owned more than one third of the area of the territory of the land improvement system or who owned more than one third of the length of the jointly used recipient of the land improvement system located in the territory in which the association was to operate. Under the new regulation, a founding meeting has a quorum if more than half of the owners of the land improvement system participate in it, and for founding an association, more than half of the owners of the land improvement system have to support it. If a founding meeting does not have a quorum, a repeat founding meeting may be convened, where the land improvement association can be founded if it is supported by the owners of a land improvement system who own in total more than a half of the area of the territory of the land improvement system, or more than a half of the length of the jointly used recipient of the land improvement system located in the territory in which the association is to operate. There were 196 land improvement associations as at 2016. In order to ensure the functioning of land improvement systems, a protection zone for artificial recipient will be provided for. Proper functioning of artificial recipients is a precondition for the functioning of the whole land improvement system. No plantation, high vegetation or permanent boundary fence must be created, and access to the artificial recipient and the civil engineering work thereof must not be obstructed in a protection zone. Also, no other construction work must be built without the approval or permission of the Agricultural Board. The Bill on Amendments to the Health Services Organisation Act and the Health Insurance Act (626 SE), initiated by the Government, under which all doctors, dental practitioners, nurses and midwives from third countries will have to complete a work practice and pass a theory examination in Estonian before they will be authorised to work in Estonia. The Bill will provide for the procedure for better checking the qualification requirements of doctors, dental practitioners, nurses and midwives if a person has acquired his or her qualifications outside the member states of the European Economic Area or Switzerland. The new procedure will be more transparent and provide for more legal clarity, and enhance supervision. 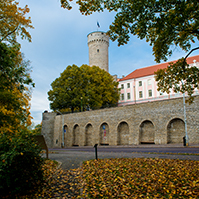 According to the Bill, the Health Board, the University of Tartu, and Tartu or Tallinn Health Care College will participate in the assessment of the qualification. The institutions of higher education will also organise the referral to work practice and the theory examination in Estonian. 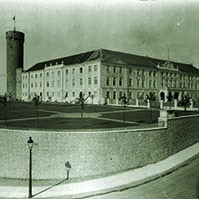 It was noted that, every year, about 40 persons from third countries submitted an application for commencement of employment as a doctor in Estonia, and one to two persons for commencement of employment as a nurse. Another significant amendment concerns doctor-residents. According to the Bill, uninterrupted health insurance cover will be ensured to all doctor-residents undergoing work practice, regardless of the duration of their contract of employment. This will concern about 60 family medicine doctor-residents who undergo one-month cycles of practical training of residency in various residency teaching hospitals. The Bill on Amendments to the Use of Privatisation Proceeds Act (614 SE), initiated by the Government, will provide for allowing to allocate support from the ownership reform reserve fund to solve the problems relating to housing development and abandoned buildings that emerged in the course or as a consequence of the ownership reform, and to remedy to churches the injustice done by violation of the right of ownership in the course of war and occupation. During the debate, Jürgen Ligi from the Reform Party Faction, Jüri Adams from the Free Party Faction, Tarmo Kruusimäe from the Pro Patria and Res Publica Union Faction, Helmut Hallemaa from the Centre Party Faction and Henn Põlluaas from the Estonian Conservative People’s Party Faction took the floor. 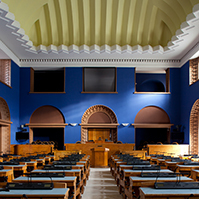 The Free Party Faction, the Estonian Conservative People’s Party Faction and the Reform Party Faction moved to reject the Bill at the first reading. 36 members of the Riigikogu voted in favour of the motion, 41 were against, and there was one abstention. Thus, the motion was not supported and the first reading was concluded. The Bill on the Ratification of “An Agreement between the European Community and its Member States, of the one part, and the Republic of South Africa, of the other part, amending the Agreement on Trade, Development and Cooperation” (606 SE), initiated by the Government, will provide for the ratification of amendments to this agreement on trade, development and cooperation. 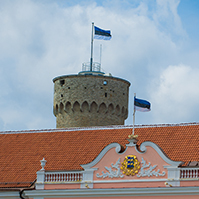 The Government has approved the amendments in July 2008, and Estonia signed them on 2 July 2009. The aim of the agreement on cooperation is to strengthen cooperation between the parties in several areas: to stimulate the communication between the parties, and to support the economic and social development of the Republic of South Africa, and regional cooperation. The Personal Data Protection Bill (616 SE), initiated by the Government, that regulates the use, processing and supervision of personal data. Starting from 25 May, a regulation of the European Parliament and of the Council will regulate personal data protection law, and the Bill aims to implement it in Estonian law. The general principles of the protection of personal data will not change. The general regulation gives people stronger control over their personal data. Persons will have easier access to data concerning them, and they will have to be informed more thoroughly and clearly of how their data are processed. If a person does not wish his or her personal data to be available for processing any longer and there is no legal basis for storing the data, the data will be deleted. For example, a person may demand that Google, a telephone communications operator or a mail order portal stop the processing of his or her personal data and delete them. Undertakings and organisations will also undertake to inform people of attacks on their personal data. They will also have to inform the Data Protection Inspectorate. The liability for violations will be greater, and the maximum amount of fine for ignoring the principles of the processing of personal data may be up to 20 million euro or up to four per cent of the turnover of legal person. The general regulation leaves Member States the possibility to specify special cases of the use of personal data. According to it, for example, the processing of the personal data of a minor is permitted if he or she is at least 13–16 years old. According to the Bill, the processing of the personal data of a child will be permitted in the case when the child is at least 13 years old. The Bill on Amendments to the Aliens Act (changes to the regulation of immigration) (617 SE), initiated by the Government, will change the immigration quota where top specialists will be excluded from the calculation of the quota. At present, such persons cannot come to Estonia in several consecutive years because the immigration quota is full. “Top specialist” means a foreigner with professional training to whom the Estonian employer has to pay at least double the average gross monthly salary in Estonia. The Bill will introduce the requirement of level A2 Estonian language proficiency for foreigners who have resided in Estonia on the basis of a temporary residence permit for employment for at least five years and who wish to apply for a new or to extend an existing residence permit. This requirement will apply only to new entrants who will receive residence permits after the entry into force of the amendment on 1 July 2018. The Bill will extend the maximum duration of short-time employment from the current nine months to one year in order to mitigate the labour shortage due to the cyclical development of the economy. Henn Põlluaas from the Estonian Conservative People’s Party Faction took the floor during the debate. The Estonian Conservative People’s Party Faction moved to reject the Bill at the first reading. 6 members of the Riigikogu voted in favour of the motion and 33 were against. Thus, the motion was not supported and the first reading was concluded. Verbatim record of the sitting (in Estonian) http://stenogrammid.riigikogu.ee/en/201805091400.